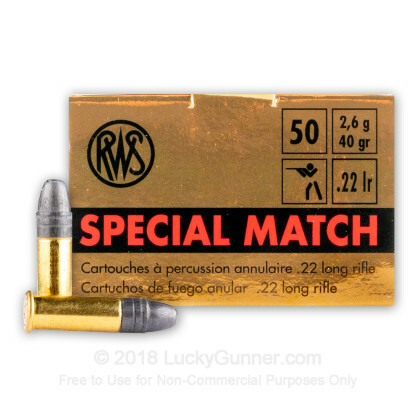 This .22 LR ammunition from German manufacturer RWS is a great choice for accurate target shooting. 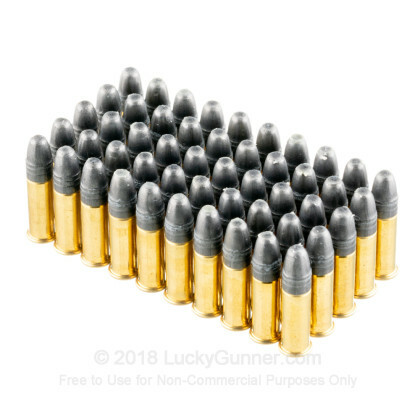 Each cartridge in this brick of 500 (divided into 10 boxes of 50 rounds each) fires a medium weight 40 grain soft point bullet at a muzzle velocity of 1,083 feet per second. 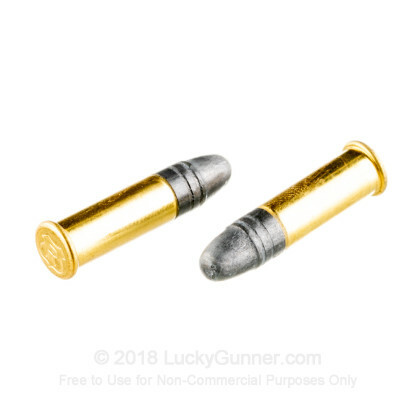 This is a standard velocity load that has excellent inherent accuracy and works well with suppressors due to its lack of a sonic crack. 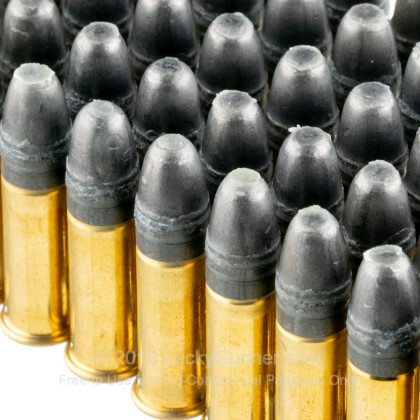 RWS is a top manufacturer of competition and target shooting ammunition based in Furth, Germany. The company is a subsidiary of RUAG Ammotec, a Swiss defense contractor. 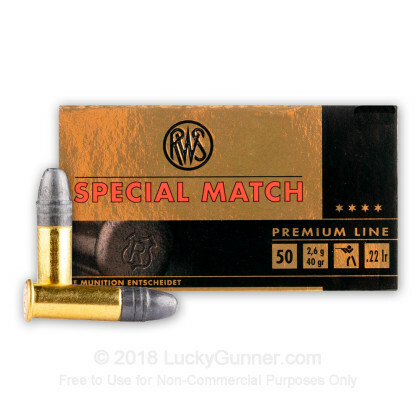 We don't have any reviews yet for this particular .22 Long Rifle (LR) ammo from RWS. 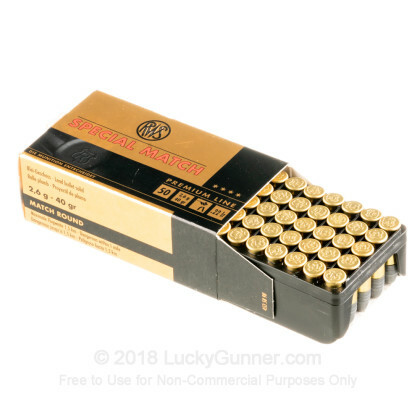 If you'd like to be the first to review this particular .22 Long Rifle (LR) ammo from RWS, fill out the form below.